The pressure is on #206! All time high for our guys/girl in the booth! 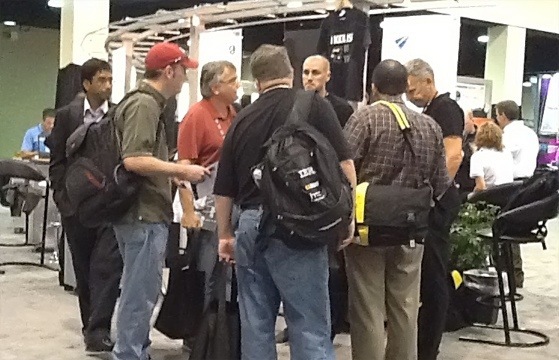 People, as well as competitors are very interested in our product portfolio. If you’re at Orlando, be sure to stop by! Check out our new product in the works: DP Social – a management tool for Connections.